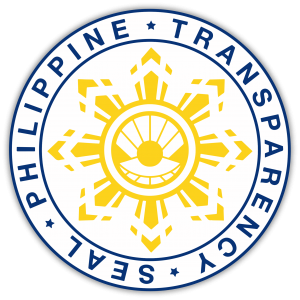 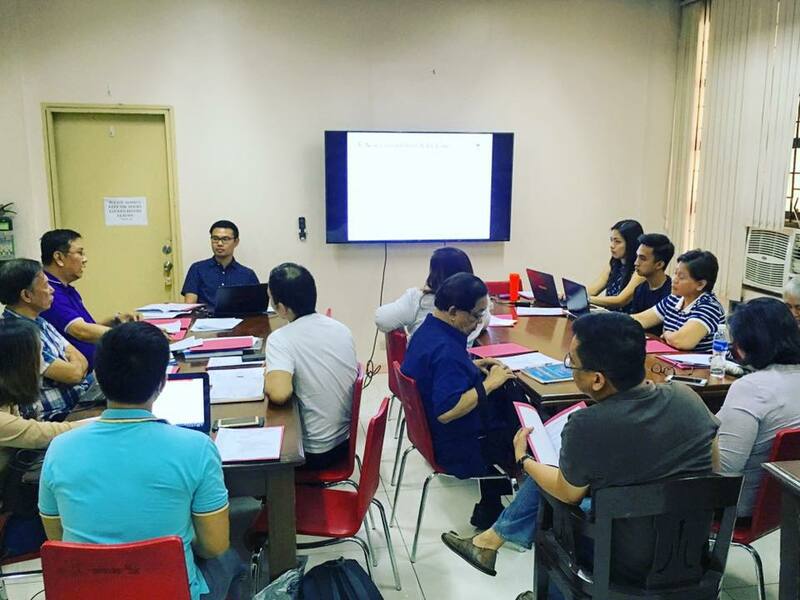 undertake or support activities, programs, and projects that are beneficial to the University of the Philippines, the community, and the society. 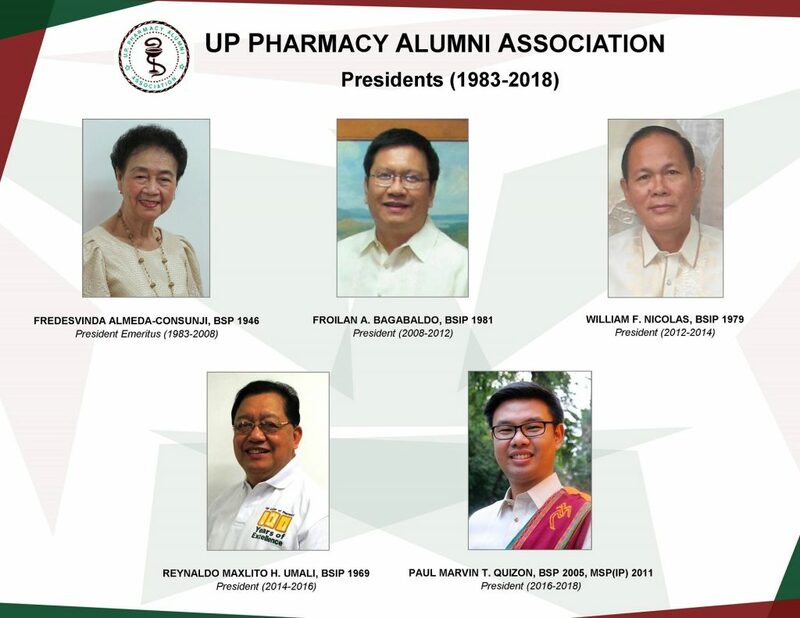 The UPPhAA is a family of excellent achievers, proactive leaders in nation-building and healthcare reforms, dedicated and service-oriented professionals, active mentors and benevolent alumni. 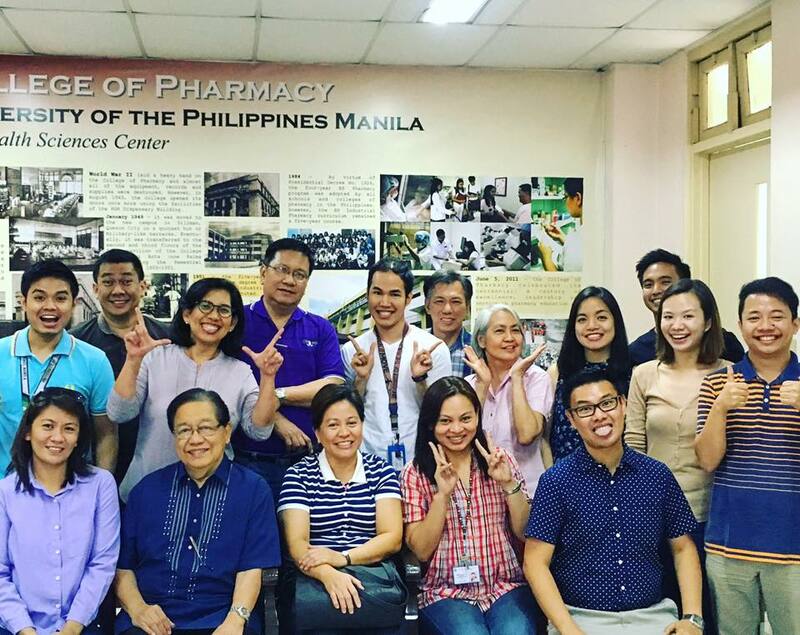 Through the years, the UPPhAA donates funds for the construction or renovation of classrooms and laboratories at the UP College of Pharmacy. 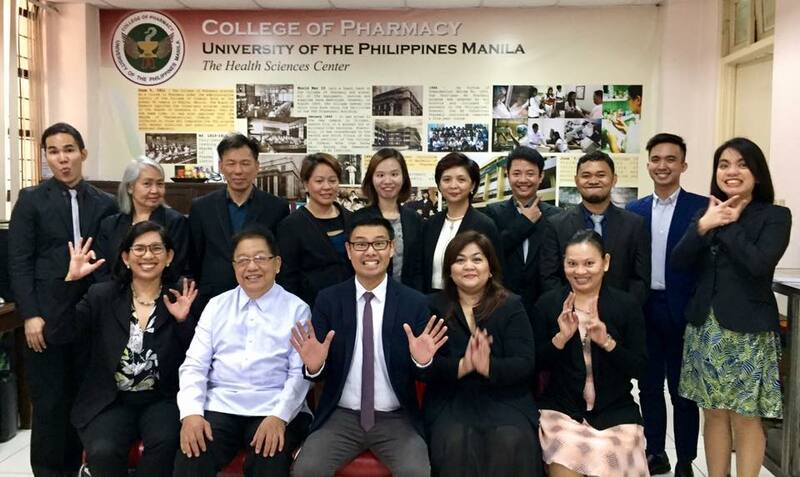 It also produces topnotchers in the Philippine Licensure Examination for Pharmacists coupled with the consistent 100% passing rate. 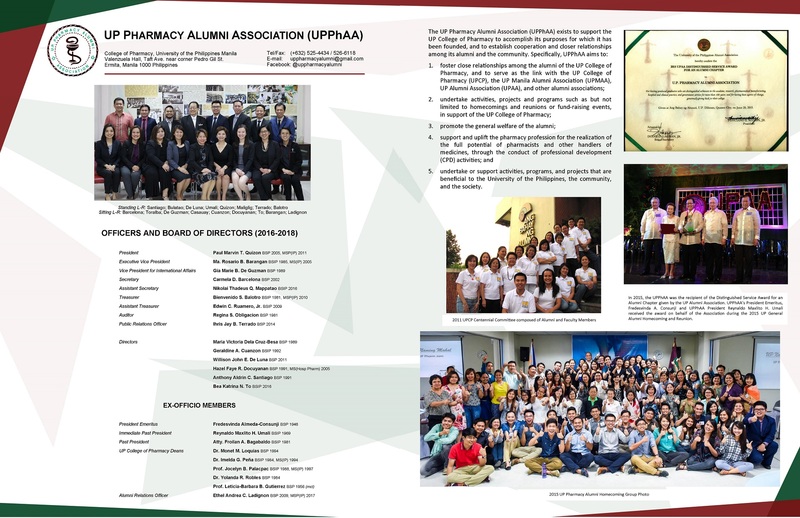 Members of the UPPhAA are the excellent mentors of future pharmacy practitioners as exemplified by their innovations in translational research, for their dynamic leadership in professional associations and for being agents of positive change in their respective fields of pharmacy practice. 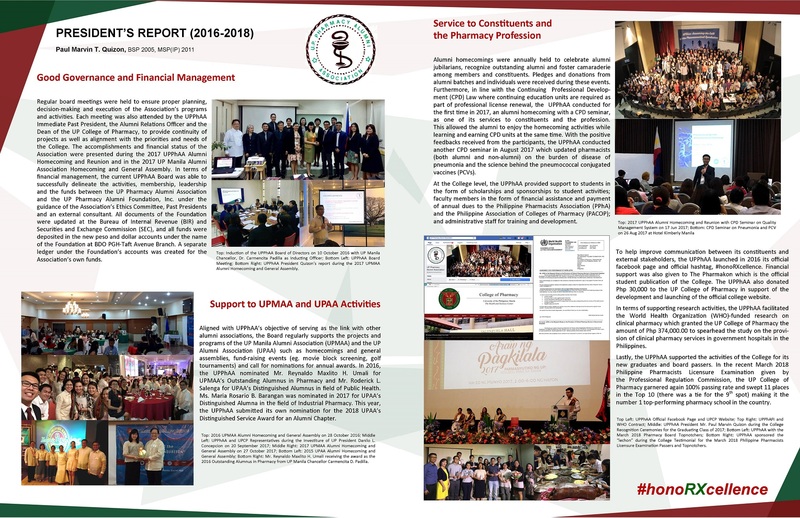 For these achievements, the UPPhAA was awarded by the UP Alumni Association as the 2015 UPAA Distinguished Service Award for an Alumni Chapter during the 2015 UP General Alumni Homecoming and Reunion. 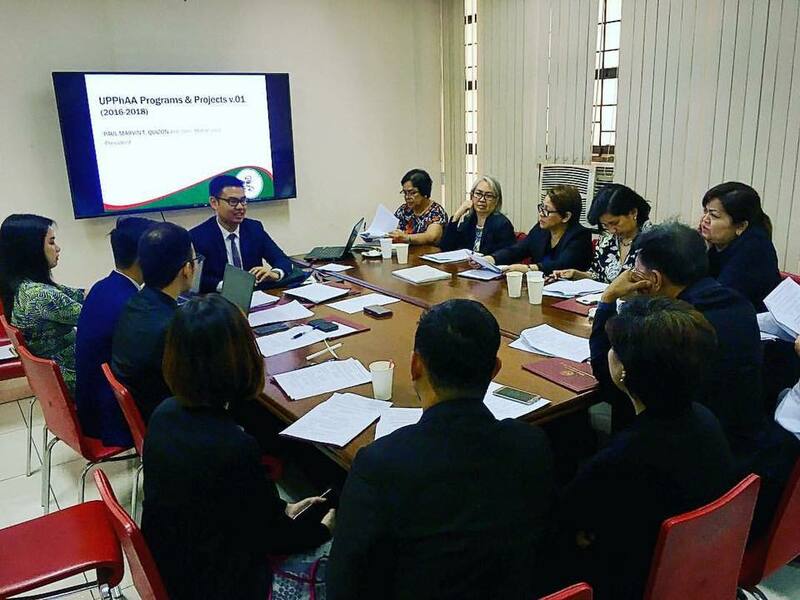 The said award was a testament of the dedication of the leaders and members of the UPPhAA in giving back to the College and advancing the ideals of the University in these changing times.